As of recently, I've gotten back into Care Bears. 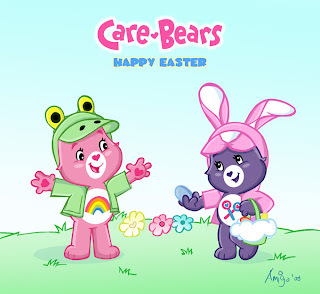 So this easter drawing is of the Care Bears in the style of the new series. I'm not too proud to admit it, I watched this as a kid, repeatedly! So did my bro. hope youre doing well dude!